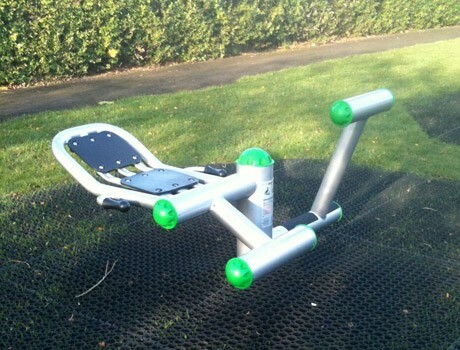 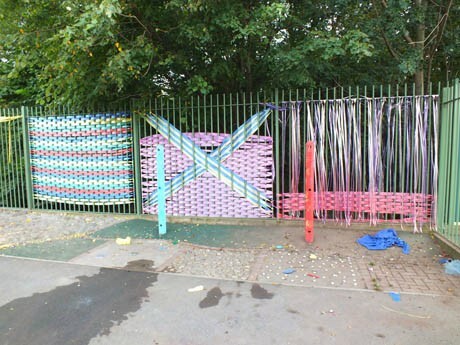 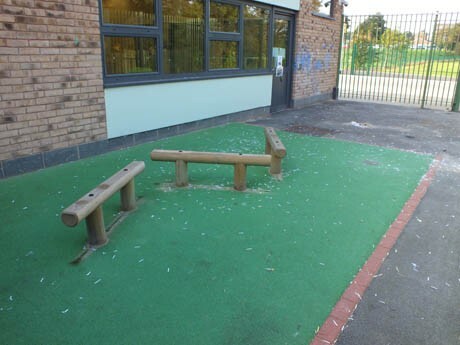 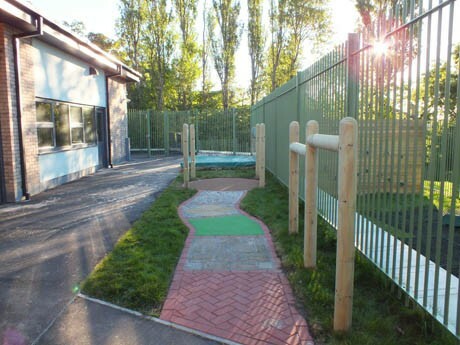 We originally developed the Early Years Playground for this School specialising in children with communication and interaction difficulties, which soon followed with another successful design and delivery of the remaining playgrounds for the KS1 and KS2 children. 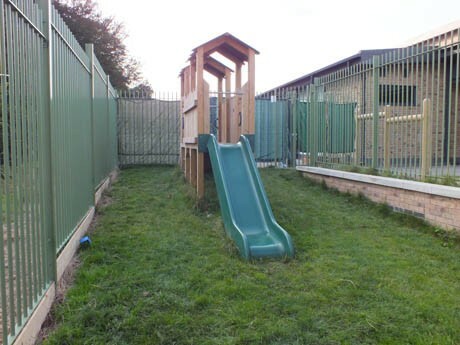 Our Design Team and Projects Specialist worked in consultation with all the teachers and classes to establish and understand the varying special needs of each group of children to ensure that the playground design delivered on all levels. 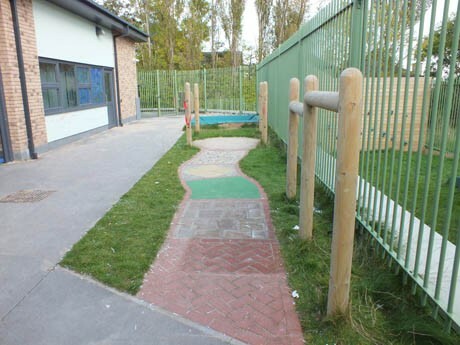 Physical play, sand play, water play, swing, sensory path, hanging poles, den making poles were amongst the endless new playground activities. 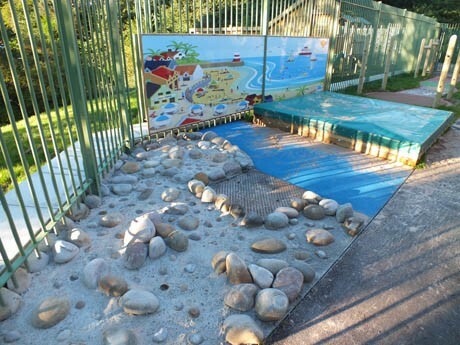 The raised sand pit was constructed from hand sanded sleepers with a cover to protect it when not in use. 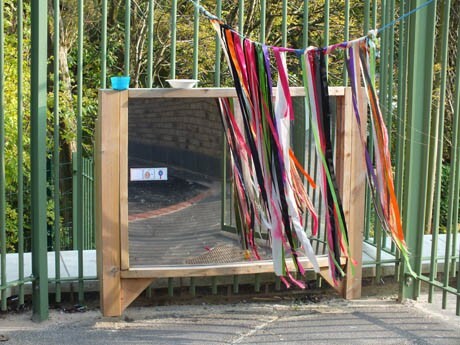 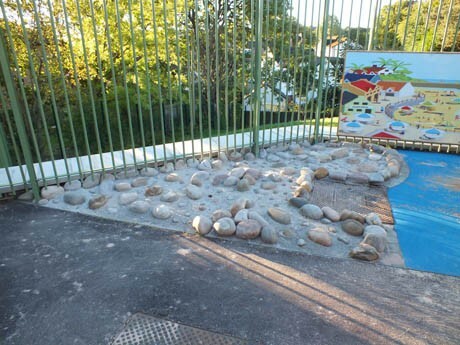 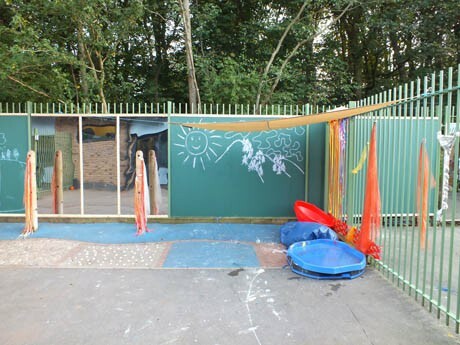 This was adjacent to a large puddle pool which provides fabulous water play – as well as experimental and structured play, these areas also provided sensory play. 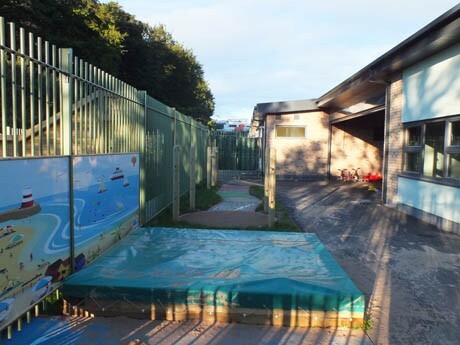 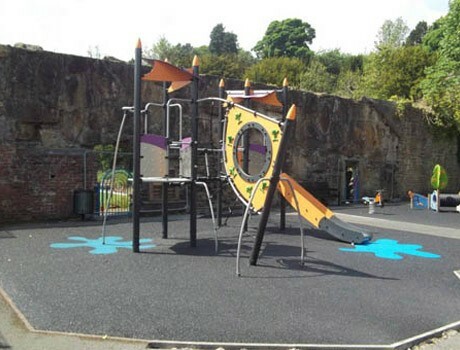 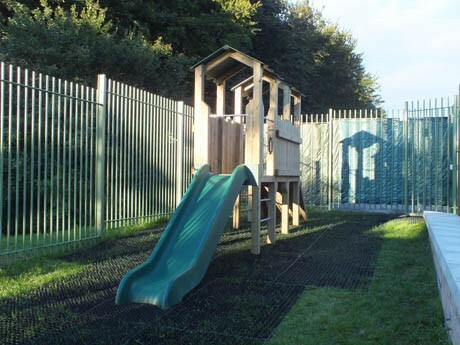 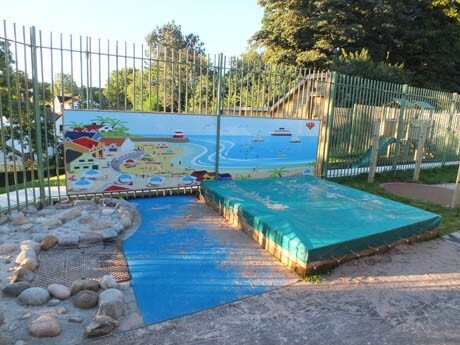 The colour of the flexiplay wetpour surfacing had to be muted and relatively natural colours due to the visual special needs of the children. 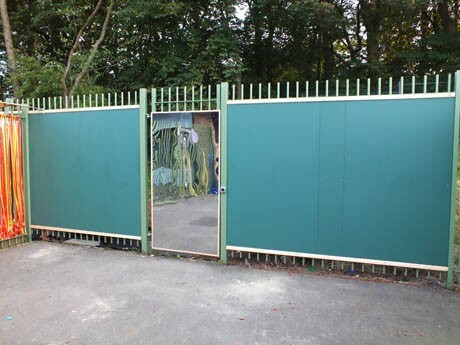 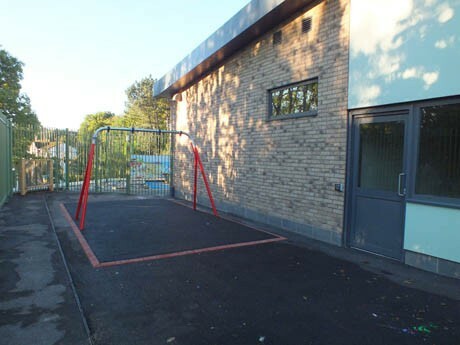 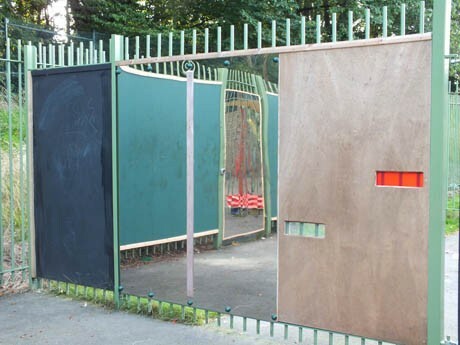 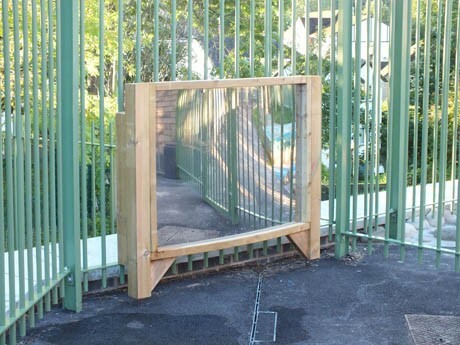 One particular solution our design brief needed to address was the need to safely screen the different playground zones which currently had an open style of 2m high palisade fence. 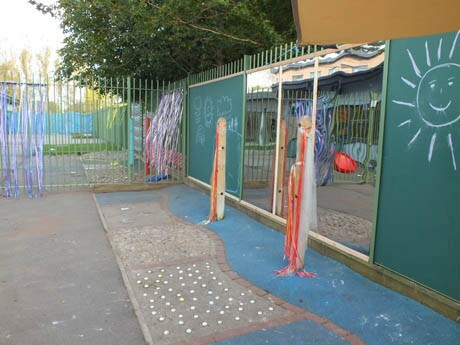 Some of the children found it difficult to play freely within their own space when distracted by other groups of children in neighbouring play zones. 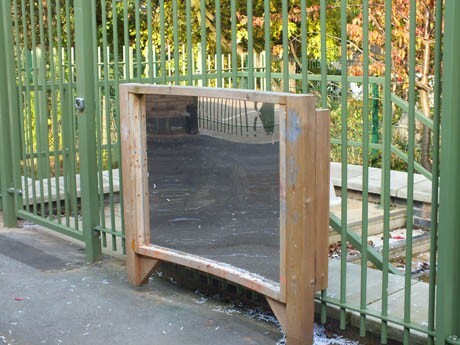 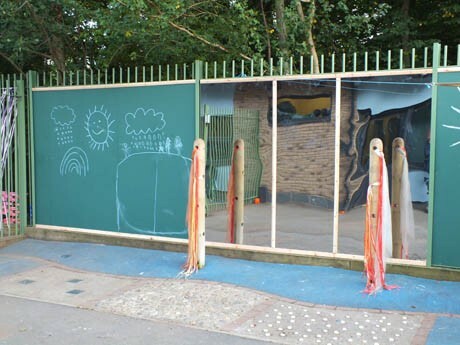 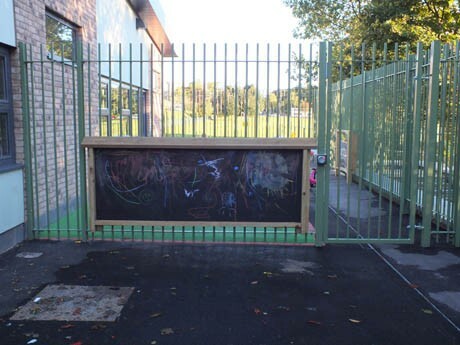 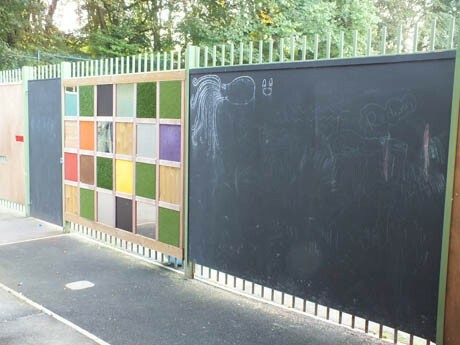 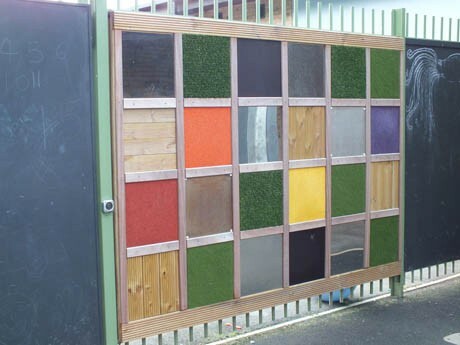 The screening needed to be anti-climb whilst providing play value – our Design Team incorporated bespoke designed activity boards which were 3m in height and included green chalkboards, mirrored panels and tactile panels which proved to be a great success, both with the children and the staff. 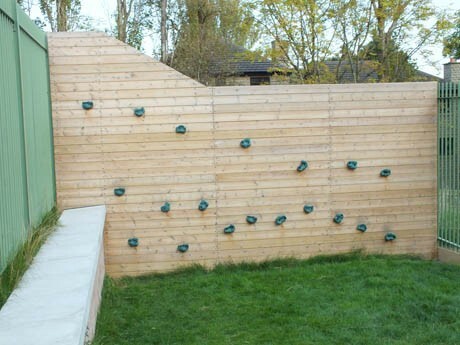 A climbing wall was also used as an intuitive dividing structure whilst providing a hugely popular lateral climbing facility.